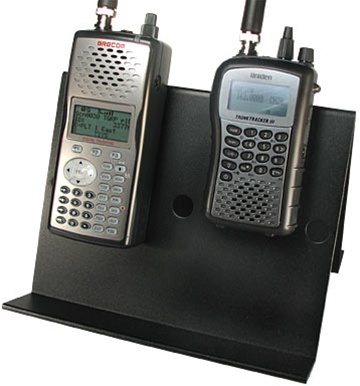 The SpectrumForce Portable Scanner Stands will conveniently hold portable scanners of any size, style and shape. 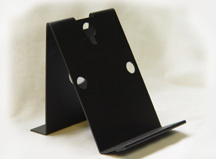 They will look great on your desk or night table. 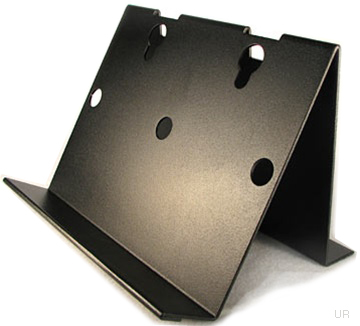 It's powder-coated black steel with rounded smoothed edges for a handsome look and feel. It includes two small round cutouts on either side of the scanner, and a hole in the back plate, to neatly snake through charger cords and PC programming cables. On the top a unique slot allows you to clip on scanners with belt clips. 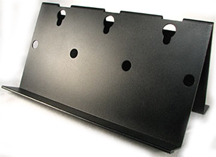 There's also a unique cut-out for certain scanners, such as the Bearcat BCD396T or XT, which have a round metallic stud clip on the back. 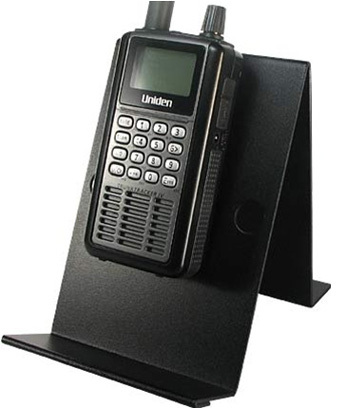 You can also simply stand any scanner on the bottom lip of the stand. 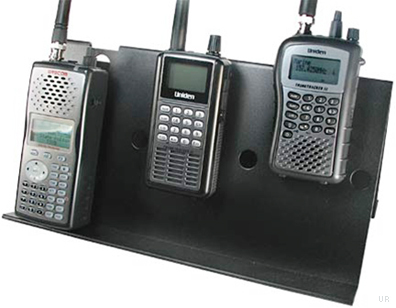 Scanners can also be mounted in their carrying case on the stand in multiple ways. Copyright 2012-2014, Universal Radio, Inc.